All softball events will take place in Pingtan county, Fujian province between Sunday and Oct 26. Women's teams from Dalian, Nantong, Luoyang, Chengdu, Lanzhou, Haidian, Jing’an and Xiamen will compete for glory through a single round-robin and playoff system at the first National Youth Games over the next few days. 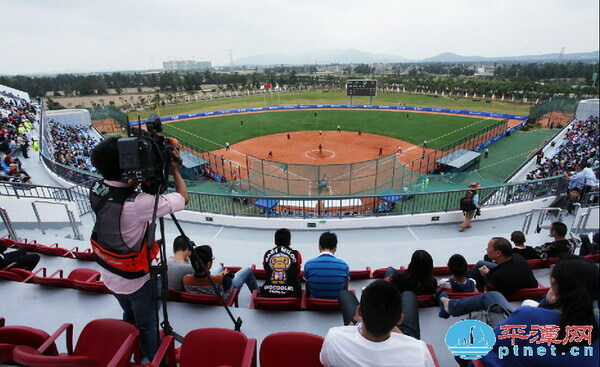 The games are staged at a newly-built softball stadium covering about 9,000 square meters. It is a state-of-the-art venue large enough for more than 5,000 spectators and has first-class facilities. Championship favorites Nantong cruised past Xiamen 7-2 in the opener on Sunday. A big crowd showed up on the first day, with attendance reaching 80 percent. 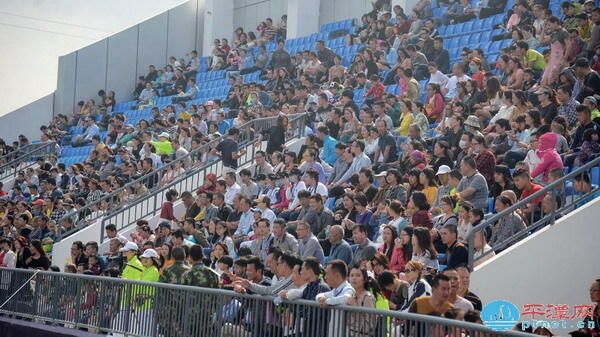 The sport is becoming more popular due to the efforts of Pingtan authorities over the past few years. Some spectators are really serious about the game. Wang Yanfang, from neighboring Fuzhou city, travelled to Pingtan particularly to watch it. Chen Shilin, a local resident, arrived two hours prior to the opener just to pick a good seat. He also carried a newspaper with game forecasts. Many brought telescopes to get a closer look of the games. “The atmosphere is really great. We cheer for all spectacular moves by players and discuss them,” said Li Yuhan, a local resident. There was an even crazier fan, Pan Huilong, who used a drone to film the match. 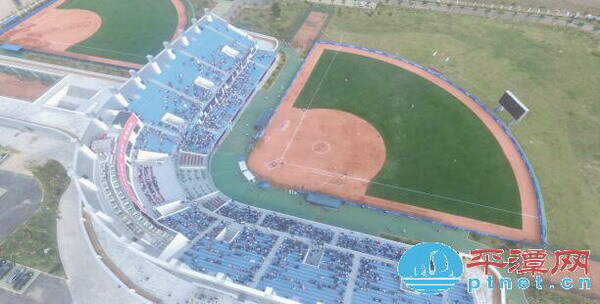 “Softball matches are the largest sports events Pingtan has ever held. Besides the magnificent stadium, the crowds are also showing their support. So I think it is a good opportunity for taking aerial photos,” said Pan.